It’s been one month since Canada has legalized cannabis for recreational use and cannabis merchant services are in full effect. It is so wildly popular that dispensaries — medical and recreational — can’t meet the demand. Consumers are paying for product via credit card, debit card, and of course, cash. Other than the shortage of product all seems to be well. The U.S. is watching. And losing out on revenue. As we attended the Marijuana Business MJBizCon 2018 last week at the Las Vegas Convention Center, one of the seminars we caught, Globalization of Cannabis: Trends and Opportunities, centered on which countries (other than Canada and Uruguay) were the most enterprising and likely to legalize for recreational purposes. In the seminar, there were four countries discussed as aggressively setting their respective frameworks for legalization, none named the U.S. In 2014, we blogged about how the tiny Isle of Man, located in the Irish Sea among Ireland, Northern Ireland, Scotland, England and Wales, had established itself as a hub of crypto currency innovation. Though cannabis remains illegal, Israel is a world leader in cannabis research, having legalized medicinal marijuana in 1992 with research roots dating as far back as 1960. In 2016, Israeli pediatricians began performing clinical trials on autistic children and adults as well as adults with Crohn’s disease. In 2017, the National Center for Research in Medical Cannabis opened at the Hebrew University of Jerusalem. One of the drivers of legal cannabis in Israel is that, compared to the U.S. government, Israel has far fewer restrictions when it comes to research. Perhaps in an unorthodox way, the nation of Macedonia has dived straight into the cannabis industry. With a government that sides to the right, it was a decision that stunned many when it decriminalized cannabis in Febraury and legalized it for medicinal purposes (In fact, Macedonia’s citizens weren’t even consulted). It has since moved quickly in regulating growth and prescription and allowing only certain professionals the power to offer prescriptions: public health specialists such as neurologists, oncologists, radiologists as well as medical professionals specializing in infectious diseases. However, the rapid timeline and the order of events in which Macedonia moved to decriminalization underscores the fact that it is open and committed to exploring the benefits of the cannabis market. Legalization could be close, paving the way for cannabis merchant services. Growers showing proof they have never been involved in illegal cannabis or narcotics production. Though limited to 19 provinces, the Turkish government indicated it is open to granting such privileges to other provinces for scientific purposes. The move somewhat echoes the sentiments most U.S. growers and sellers wish the federal government would take with complete legalization: it would virtually eliminate black market operations, yet be under the watch of the feds. Canada’s influence is spreading overseas. Cannabis is the most commonly used illegal substance in the U.K., and there is a serious movement to legalize cannabis for recreational use. It has the backing of plenty of politicians (Home Secretary Sajid Javid, liberal democrats and the Green Party), experts (Steve Rolles, drug policy expert) and even celebrities (Sting, Sir Richard Branson and Russell Brand). Medical cannabis was recently made legal in the U.K. via prescription on Nov. 1, propelled by its calming effect on epilepsy patients and others who suffer seizures. However, Mr. Rolles proclaimed to The Independent that, with Canada as the world’s litmus test, legalization for recreational purposes could happen within five years. We think and hope our government sees the benefits from Canada’s move to legalize last month. We feel, like alcohol, it would cede control from drug dealers to national and state government officials. That dispensaries in legal and medically legal states are desperate for a legitimate banking system overseen by the Federal Trade Commission. A debit card solution which enables customers to fund and re-fund with cash, similar to a mobile wallet. A digital currency solution which allows customers to convert cash for crypto in real-time, with in-store crypto ATM and POS devices. Instabill can also provide merchant account solutions for CBD and hemp, two surging industries for which merchant services can be difficult to find. 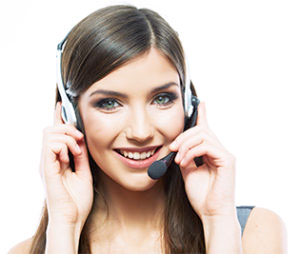 Speak one-on-one with our merchant account managers today at 1-800-530-2444.